Alpharetta GA equestrian homes for sale homes! 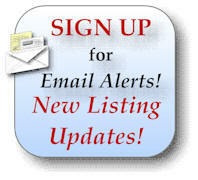 Search Alpharetta MLS listings for equestrian homes for sale, horse properties, luxury estates and equine real estate. Alpharetta horse farms, and equestrian real estate. Alpharetta GA Equestrian homes and Horse Properties for Sale. In the Atlanta area, Alpharetta, Crabapple, and Milton have been long known as our equestrian area in North Atlanta. Feel free to search our MLS listings to find horse farms, estates properties, luxury homes, horse farms, private estates with paddocks, stables and riding arenas, and other equine properties that will accommodate horses, and equestrian properties for sale. If you are buying or selling a horse farm or equestrian real estate in the Alpharetta or north Atlanta area, please feel free to contact us. It will be our pleasure to assist you.